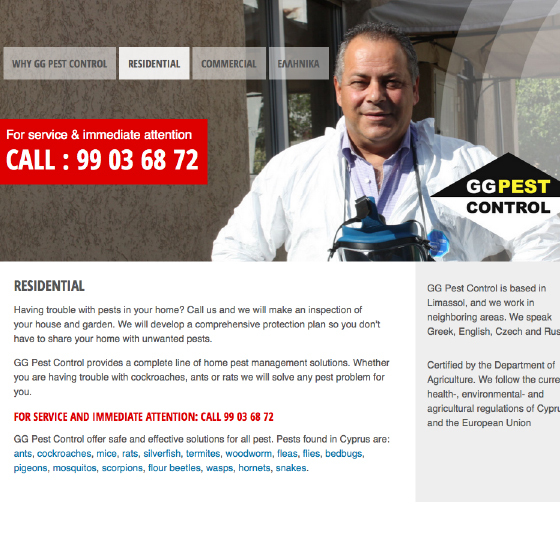 GG Pest Control is a Cyprus base company that offers extermination services of any pest in residential or commercial spaces, using scientifically proven technologies and quality chemicals. The company needed an online presence. (2014) We created a modern, selling and search engine friendly website. Fully responsive, multi-lingual and with custom photographs and graphics.